Retreat Collection at Newman Village Patio Gated Community | Swim and Racquet Club | Walking Paths and Open Space | Architecturally Diverse | Frisco ISD Newman Village sets itself apart from other master-planned communities with expressive sculptures and distinctive displays adorning the elegantly-landscaped grounds of the plaza built around a deep appreciation for the fine arts. The carefully-crafted community design continues into each and every home with rich architectural details that paint a diverse streetscape. Residents of Newman Village enjoy community gatherings throughout the year, open spaces and the Swim and Racquet Club. Darling OffersFive one-story luxury home designsLiving space ranging from approximately 2,600 to 3,600Homesites approximately 65’ by 130’ standardEuropean, Classical and Mediterranean elevations Darling Homes has distinguished itself among Dallas-area home builders with the authentic architecture within this Frisco new homes community. Frisco was ranked by Money Magazine as the #1 Best Place to Live in America for 2018. To schedule a tour, call 214.387.8483. Click Here To View Home Site Availability and More on Our Interactive Plat Map Take Advantage of a Smart Home Loan Are you ready to start living an inspired life in your new-built home in Newman Village? Our Rate Roll Back can help you enjoy a low rate which translates to lower monthly payments for the life of your new home loan. Act fast because rates fluctuate. 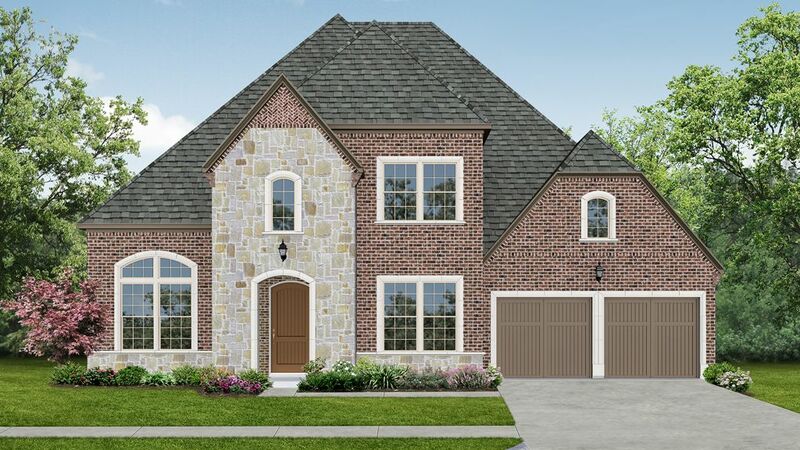 Learn more and calculate monthly payments for your new home in Newman Village in Frisco, Texas.